I am 2,300 unfathomable miles from where I thought I would be, sitting in a home so full to the brim of love it’s palpable. 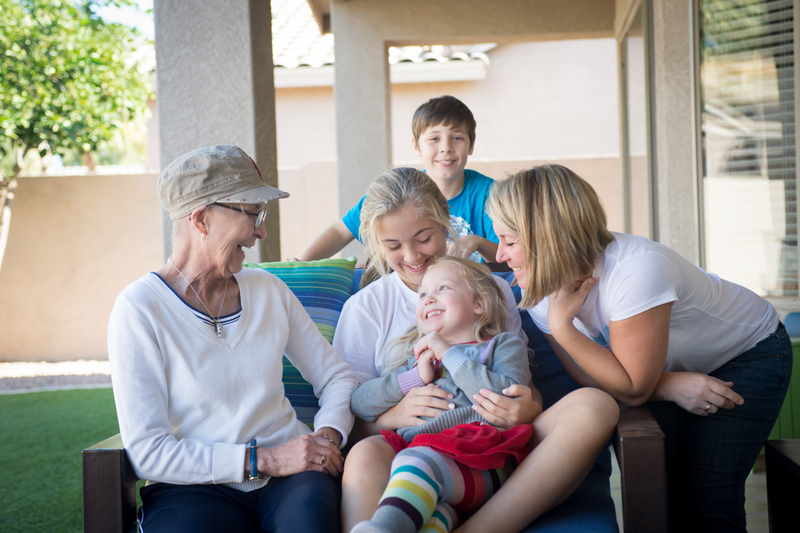 There isn’t one wall that doesn’t have a picture of happy times — three beautiful daughters and eight adorable grandchildren smiling and laughing in the loving arms of the most affectionate grandparents ever. The refrigerator is covered in drawings and messages from the grandkids, there are countless messages of hope, a reoccurring theme here, and yet, this home is so devoid of hope and so full of sorrow and sadness now. Hope that was once held so tightly has slipped through their fingers because the most precious woman I have ever had the pleasure to know, my dearest friend’s mother, is dying of cancer. Eleven months ago, I found out that my nearly typically developing 3-year-old daughter has a rare brain disorder that causes seizures and delays. This disorder diverted us from having a typical life unfolding in front of our child to following a bumpy, winding road of uncertainty that has no planned path or direction or map with which to navigate. I wondered for a few months before we had the testing complete if she was falling behind her peers, but those fears were dismissed by everyone I consulted until finally someone agreed we should look deeper into my doubts. Looking back, I probably could have pushed harder and discovered sooner, but I think my undoing was supposed to coordinate perfectly in time with my friend’s undoing. It’s as though this tsunami of tragedy had to hit my shore first and carry me to her so we could drift on together, and it couldn’t happen sooner or later. It had to happen this way. Both of our lives are irreversibly changed as a result of the grief we experience separately, and that grief has become forged and intertwined so we feel deeply the grief of the other. I think it was a more natural transition for her, as our meeting was due to my daughter’s brain condition. She was just another appointment to me. Just another place to be, another therapist whose job it was to fix my daughter who couldn’t be fixed. Because her job is to fix kids, and she has such a loving heart, she fell fast and hard in love with my daughter. Friendship grew easily from our mutual love of my curly haired, blue-eyed angel, and before I knew it, she was my best friend. It was as though we’d known each other for years rather than months. 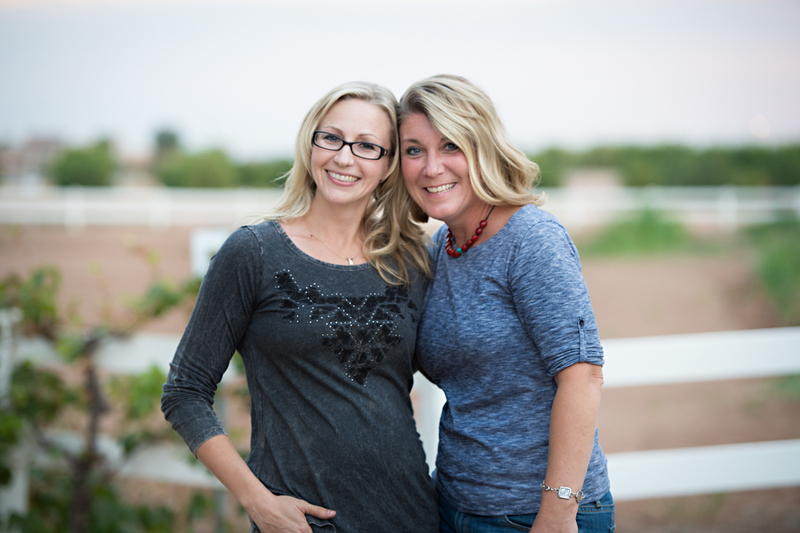 Shortly after we decided we would be friends, her mother was diagnosed again with cancer she thought she beat two years earlier, and after months of chemo and treatments, they found no more hope to be had. When I explain to people outside of this friendship who she is to me, it sounds ludicrous. My dearest friend, whom I’ve known for less than a year, is my daughter’s occupational therapist, and I would gladly fly across the country on a midnight flight to keep her company while she says goodbye to her mother, whom I’ve only met a few times but is so precious to me that my heart breaks for losing her. It just sounds ridiculous to love so intensely people you haven’t really known for any time at all, but I do. Maybe the point is that friendship and love don’t require a certain amount of longevity for it to be real or genuine. Maybe it’s OK that the origin of this friendship is unusual and its intensity is unexplainable. We were further solidified when I met her beautiful mother. She visited for two weeks in the fall, and I fell instantly in love with her too. Her lively personality and overwhelming love just didn’t seem to match her body, full of cancer, so tiny and frail. She had little hair left after the chemo, and she seemed so breakable I was afraid to hug her, but I couldn’t help but to squeeze her tight because she was just so inviting and loving. She filled the room with her antics and contagious laughter instantly caused total happiness. I brought my daughter over to meet her, and she just kept remarking that it didn’t seem possible that my little girl had something wrong with her brain. “She’s an angel,” she repeated over and over, her words were both stinging and medicating my broken heart. She sang songs to my daughter and hugged her and kissed her, and my little girl loved every moment with her. 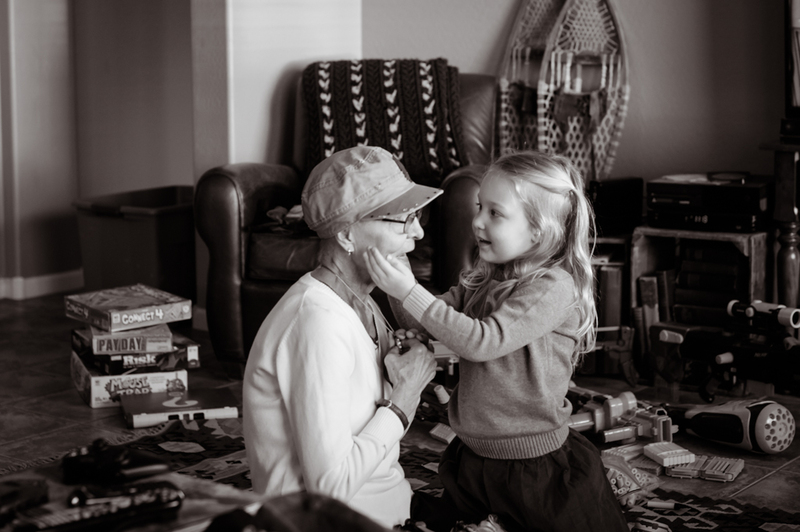 When it was time for her to say goodbye, we visited again and she sat on the floor with my daughter, who placed her angelic little hands around her newly adopted grandma’s tiny face, and they just stared at each other. 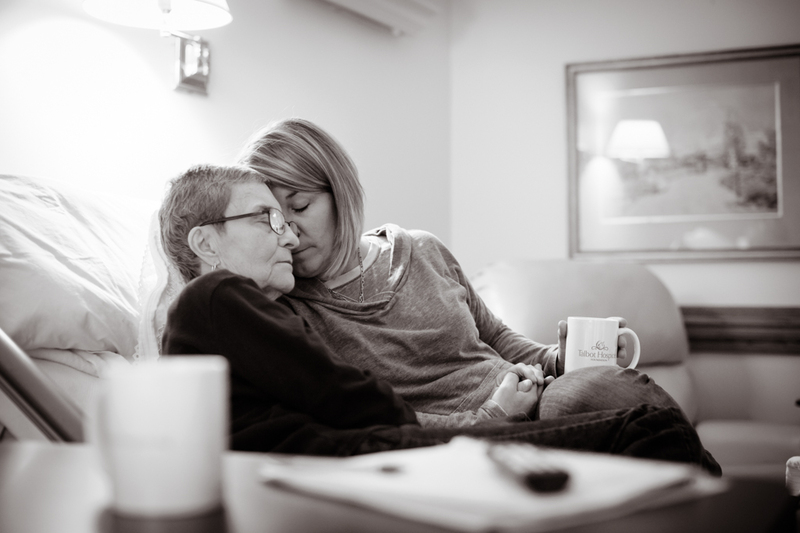 A brain disorder didn’t matter and cancer didn’t matter, they just loved each other. I don’t know why this moment seems so profound to me now. It was just a moment, just a gesture of love between them but somehow this moment was monumental, crucial, defining of this circle of mothers, daughters and friends. It’s a strange thing to review my life over the last year. From my complete undoing, free fall into depression and paralyzing fear for my child and her future was born the deepest love for people I would not have known if I hadn’t been so broken, if her brain was perfect, if her life was going to be normal. How can I be simultaneously so wounded and so healed? How can I be so hollow from grief and so filled with love and joy from the same circumstances? I find it difficult to swallow the grief with the joy, but they cannot be taken separately. The most complicated of moments are when I feel anger about my daughter’s condition, then subsequent guilt because I love this family who is only in my life because of her condition. When I feel whole because of them, I feel broken about my daughter. I am uncertain if it will always be that way, but the two are so tangled together, I’m going to take it as a blessing that it’s not only sadness I feel. I wonder how people cope with life-altering diagnoses without friends like these. How do you cope with a new reality without love like this? My friend holds me up every day, and her presence is constant, keeping me going when I’m unsure how to put one foot in front of the other. I am not the person I was a year ago, and it’s strange to me that she won’t know the “before this” me. I was productive, driven, goal-focused and capable of everything. I wasn’t nearly as emotional or as tender. I sometimes wish we could have met under different circumstances, but I believe my daughter’s condition was revealed exactly when it had to be, so I could be a shattered mess, ready to be rebuilt with love from a family who was being shattered too. There is no knowing why this happened to my daughter or why her mom has cancer, and “why” is the pointless unanswerable question of our faulted human hearts anyway, but I take comfort in knowing why we met when we did. It makes all of this tragedy easier to tolerate because the greatest gift was given when I needed it most, and I have gained a best friend and an entire family because of one little brain. Kelly Kennedy is a full-time photographer, mother of four amazing kids, one of whom was recently diagnosed with pachygyria. In her spare time, (Ha! What’s that?) She enjoys reading, hanging out with her husband and friends, playing with her two chocolate labradors, running and photographing her own children … sometimes at the same time.